What are the best apps for job seekers? We’ve compiled a list of the top nine apps that every job seeker needs in their toolbox. Need to track your finances? There’s an app for that. Need to improve your sleep cycle? Yup, there’s an app for that. Need to keep a detailed map of all the places you’ve pooped…? You guessed it… there’s an app for that too. Truly, we are blessed to be alive in the 21st century. What about apps for job seekers? There are hundreds! But let’s winnow down to the part of job seeking many people fear — writing the resume. Fortunately, there are several interesting online tools (not just apps) that can help you write the ultimate resume that will land you more interviews. Here are 9 of them. I’ve ordered these tools in logical steps, but towards the end you can mix it up. The worst part about writing a new resume, or updating an old one, is having writer’s block. I don’t blame you if you’re biting off your nails and gritting your teeth at the thought of sitting in front of your computer writing up convincing resume bullet points. The Resume Genius Free Builder will help you automatically generate bullet points for any job role you’ve had, saving you hours of excruciating brainstorming. If you’re like me, you don’t have an artistic bone in your body. Also, you quickly lose your patience with Microsoft Word when bullet points fly everywhere and your document loses its formatting for no reason. Using a resume template is a lot like using Google Maps on your smartphone instead of pulling out a tattered Rand McNally Road Atlas. 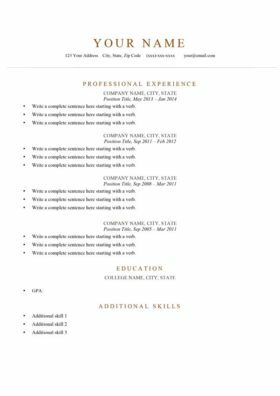 Download a resume template. You may have heard that hiring managers can recognize and look down on resume templates. Don’t listen to those people. Using a resume template is a lot like using Google Maps on your smartphone instead of pulling out a tattered Rand McNally Road Atlas. It’s a no-brainer. Your resume might sound a little bland to a hiring manager if you’re not using the right keywords. For instance, the verb “used” isn’t quite as exciting or descriptive as the verb “operated” when you’re talking about forklifts. Use a list of action verbs, or use a thesaurus. The action verb list (longest on the Internet, we can proudly claim!) can give you inspiration, and the thesaurus can give you guidance when the word you want is just on the tip of your tongue. Sometimes, simpler is better. For instance, never use the word “utilized” when you can just write “used”. Ideally, you’re supposed to target your resume for every new position that you apply for. A big reason for that is because robotic Applicant Tracking Systems (ATS) can actually reject your resume before a hiring manager sees it, based on whether your resume seems relevant enough. One way of beating the ATS is to read the hiring manager’s job description, and sprinkle the most important keywords from that job description into your resume when appropriate. A little troublesome, isn’t it? Use a word cloud generator like Wordle, which can help you sift through the job description’s important keywords in mere seconds. Just input the description into Wordle, and watch as the most important keywords are displayed in large, easy to read font. Insert those big keywords where you can! Once you’ve inserted those job description keywords into your resume, you’ll need to double check whether you’ve done a good job. The best you can do is eyeball it, or have someone else give you a second opinion. Jacob Shriar of Officevibe thinks you can do better. He recommends using Jobscan to make an instant comparison between your resume and the job description. Jobscan will tell you if your resume is likely to pass the ATS judgment. Just copy and paste your resume and the job description into the two input areas, and receive critical feedback. With Jobscan, you created an ATS robot-proof resume. However, you also need to make sure humans find it pleasant to read! Unfortunately, not all of us are naturally brilliant writers. So what to do? The Hemingway App can help you improve your writing. It automatically determines where your writing is too hard too read, where you’ve used too many adverbs, where your words and phrases can be written more simply, and where you’re using the passive voice. Correcting these mistakes will make your writing bold and clear. Despite all of the work you’ve put into your resume by this point, you still might feel a bit insecure about its quality. How about one more app, just to be safe? Stephanie Flank, Director of HR at AKAM recommends using Rezscore. Rezscore reads your resume and gives a comprehensive 0-100% score of its overall quality. It also breaks down which industry your resume is best suited for, and which of your skills is in highest demand. Despite all of the software out there that can judge your resume, nothing beats another person proofreading it. That’s so 20th century… or is it? Don’t worry, this subreddit is very polite, even if their advice can be blunt. You can crowdsource your resume critique using reddit. The subreddit https://www.reddit.com/r/resumes/ is filled with job seekers and resume experts who are willing to give an unvarnished opinion. Just upload your resume (remember to remove or blur personal information), and watch the comments stream in. And of course, don’t forget about us here at Resume Genius! Writing a convincing resume has never been easier, provided you know which tools to use. Sure, it’s not REQUIREd that you use a resume builder, but hey, it’s 2015 and why wouldn’t you want to use something that makes the whole process a walk in the park? So use the Internet to your advantage, and give yourself a boost above your competition. 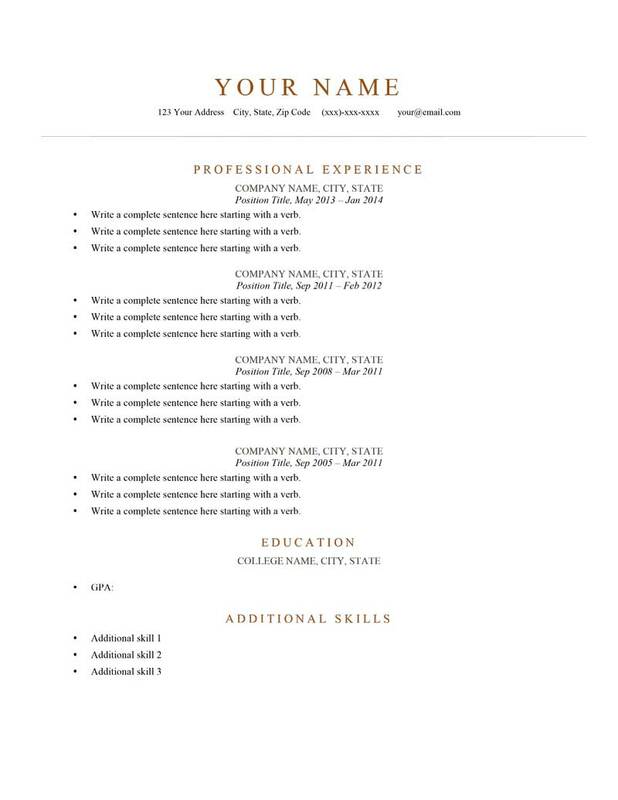 Great solution for helping my resume look more creative and professional. Easy and fun to use. Thank you for the feedback. We are glad that we can help! We are glad that people appreciate our hard work! Please let us know the feedbacks from your colleagues and friends as well! This is an excellent and helpful article. I’ve already bookmarked it and will be sharing it with both colleagues and friends, the article IS 21st century with the interactive features/links!